William was an immigrant from the village of Cheadle, England (south of Manchester). He became a successful businessman in the painting industry in San Francisco. 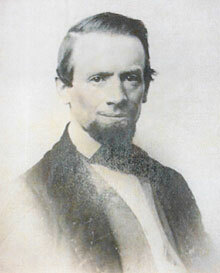 William and Ellen Jenner were married in 1861. Together they had three sons, William Jenner (“WJ”), Edgar Kirk, and Albert Isaac Worthington.